A cornerstone of good compliance is having credible policies in place. Policies in which everyone in your organisation believes and understands. The reality, however, is that most policies are not fit for purpose. Many do not meet the needs of employees, the organisation or regulators. So, what are the enemies of policy? Having seen huge numbers of policies via our work with Gydeline and with many global multinational organisations, we’ve put together a list of the 5 greatest enemies of policy. We’ve all been there. We’re told to review or read a policy and the first 2 pages are full or preamble, context and information which may or may not be directly relevant. By the time the readers get’s to page 3 or 4 (where the important stuff is) they’ve often lost interest and the value of having a policy is lost. Whilst it is important that policy is in place for a reason, it is not important to provide an extended justification. Do those inside your organisation really need to know the detailed market research that you have done on the geographical and industrial context which means that a ‘widget’ policy is required? Policy documents need to be current and used information assets within the organisation. It is extremely common to encounter one of two scenarios: firstly the policy was last updated several years ago or secondly it has never been reviewed or updated. In either scenario the document is next to useless as it’s validity cannot be proven. What happens when regulation changes? What about when a policy is broken? How about when your organisation expands into a new territory or introduces a new service? Without an owner or responsible person your policy will disappear into a vacuum and have no impact on the governance or compliance within your organisation. However the number one enemy of policy is the use of vague, indefinite language. This comes down to lack of clarity and purpose from those setting policy. As it is not clear what is needed or why, the policy itself falls back to language which leaves options open and tries to cater for any eventuality. This makes for extremely poor policy which, when adopted, can be very hard to enforce. If you wish to have a policy then have the confidence to state it in a clear unambiguous way. No facial hair can be grown on company time. 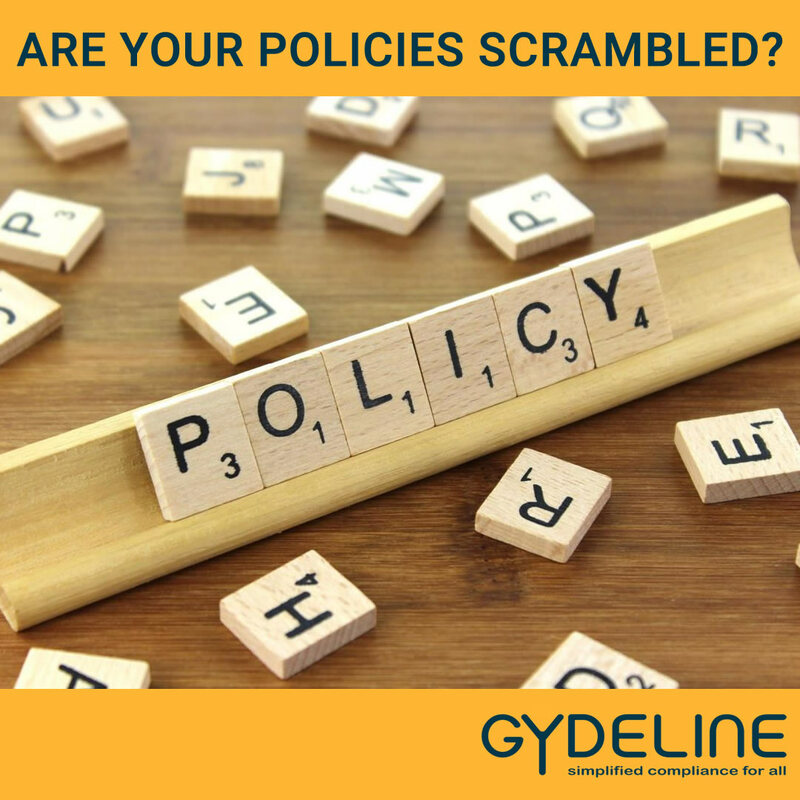 You can find out more about the Gydeline approach to policy here.